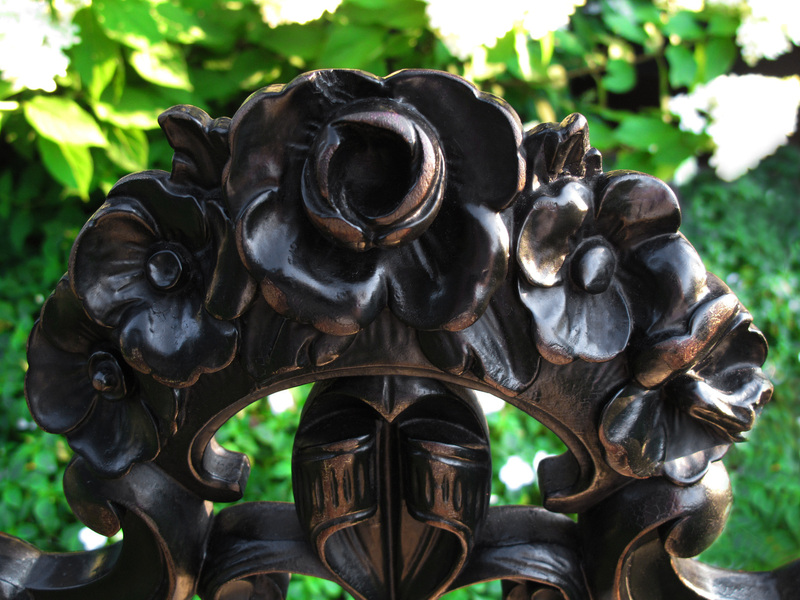 Offering a highly detailed carved floral chair, with many Art Nouveau characteristics. 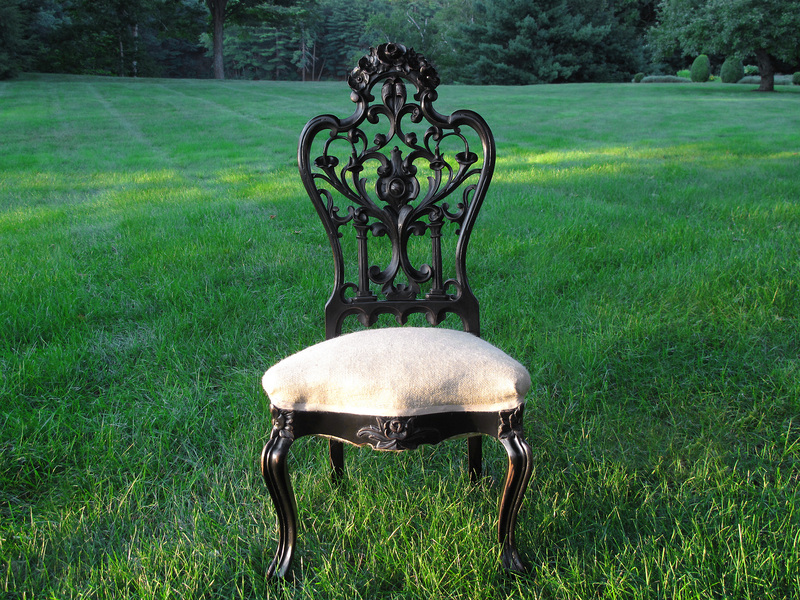 It has been upholstered in tan Hessian cloth, which is a very natural and fashionable fabric. 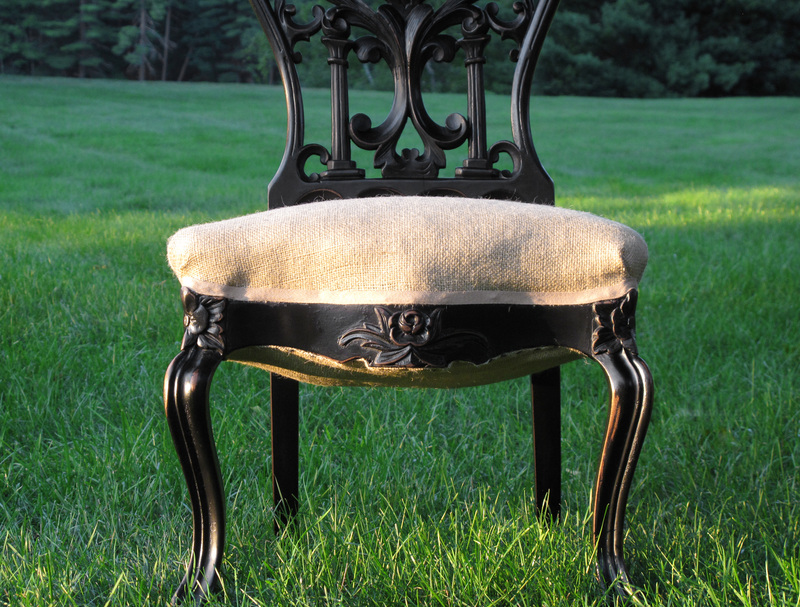 The chair is black, with some of the mahogany showing through. The finish has been waxed and has a lovely low gloss patina. 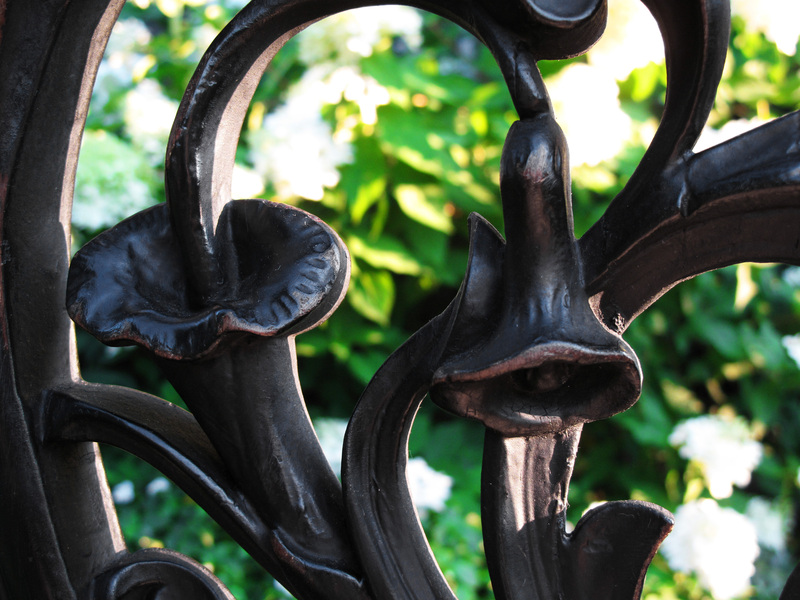 It’s structurally sound, with springs and horsehair in the interior construction. 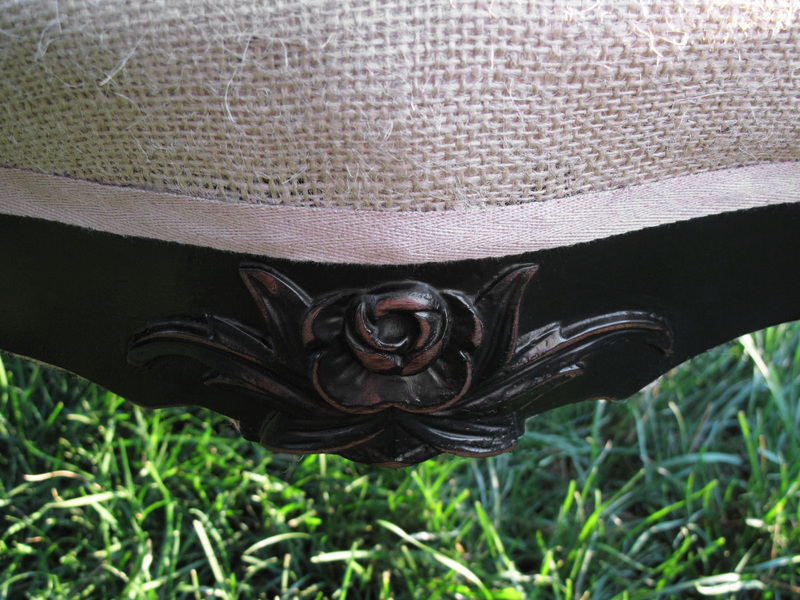 New batting was added for a comfortable and shapely cushion. National and international shipping is offered. Local pick up by appointment. Delivery is available throughout New England and the New York City area.